The boys in gray held this sword with high regard. Detailed with the intricate CSA etch stretching half the length of the 28 1/4 in. stainless steel blade. 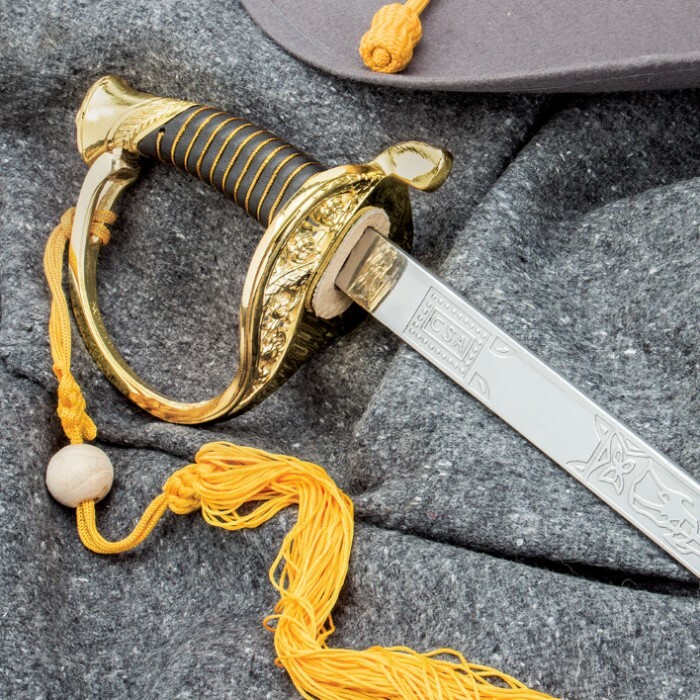 The leather wrapped handle is accented with wire wrapping and a brass plated guard and pommel. 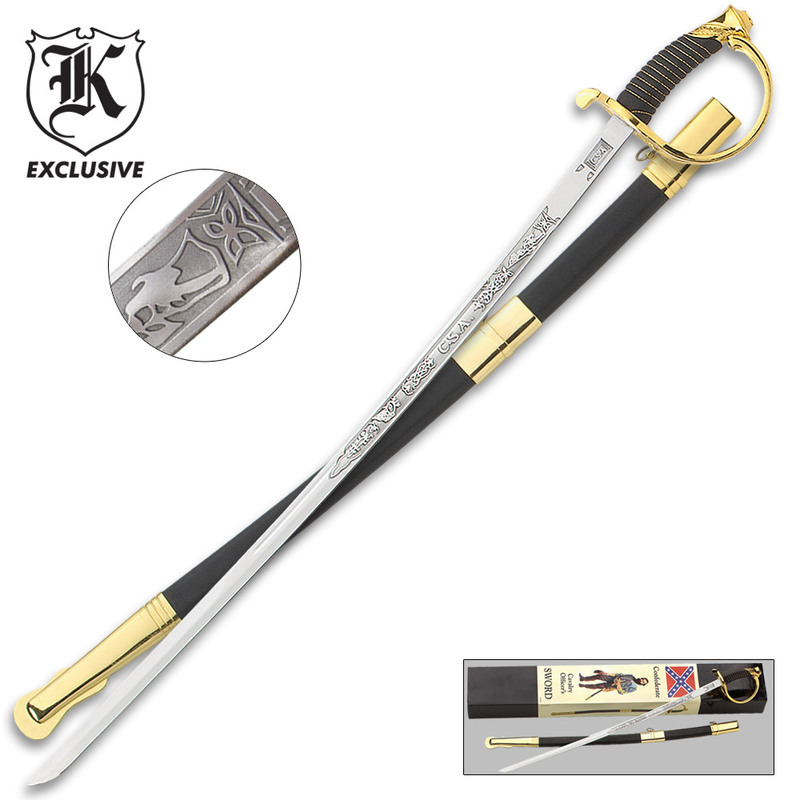 This collectible sword slides smoothly into the leather wrapped scabbard adorned with brass fittings. 38 in. overall.